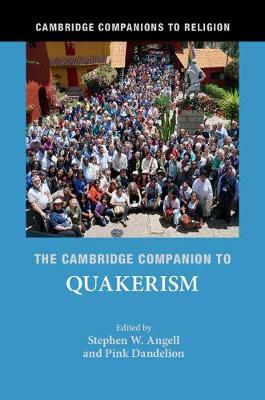 The Cambridge Companion to Quakerism offers a fresh, up-to-date, and accessible introduction to Quakerism. Quakerism is founded on radical ideas and its history of constancy and change offers fascinating insights into the nature of non-conformity. In a series of eighteen essays written by an international team of scholars, and commissioned especially for this volume, the Companion covers the history of Quakerism from its origins to the present day. Employing a range of methodologies, it features sections on the history of Quaker faith and practice, expressions of Quaker faith, regional studies, and emerging spiritualities. It also examines all branches of Quakerism, including evangelical, liberal, and conservative, as well as non-theist Quakerism and convergent Quaker thought. This Companion will serve as an essential resource for all interested in Quaker thought and practice.